The domesticated dog comes in a dizzying array of sizes, shapes, colours, patterns and coat types. No other domesticated animal has such a varied genome. If you are interested in the science of colour genetics in the domesticated dog and how this directly affects the Bernedoodle, read on! I will try to make this a simple as possible! Genes are like an instruction book for DNA to follow. Genes determine EVERYTHING in living beings: Size, shape, gender, etc.... and of course colour! Genes come together in long strands of DNA. Particular points are called a locus (think location). At each locus you will find a pair of alleles. Each allele in the pair was provided to the dog by each one of their parents; one allele from the mother and one allele from the father. 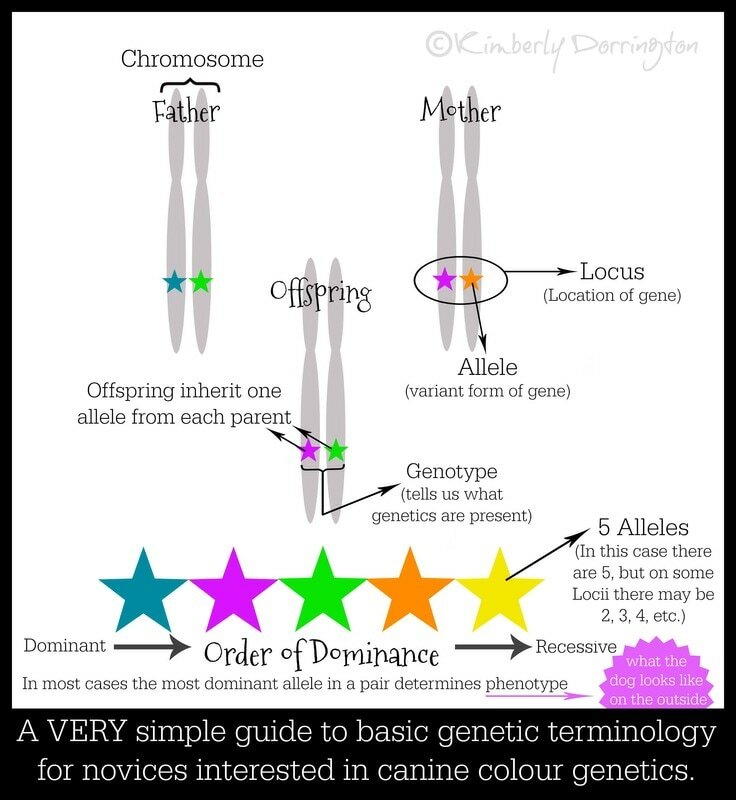 At each locus there could be several genes possible, but any living individual can only have 2 of how ever many genes there are to choose from, and they can only get what their parent gives them. If the parent does not possess the gene, it is impossible for the offspring to acquire it. There are MANY locii - identified and unidentified. There are also many alleles that are identified and ones that are still undiscovered, but there are assumptions made in these cases that may, in the future, prove to be correct or debunked.